Samsung is the most popular Android phone company in the world. But every Samsung user faces a common problem and that is pattern lock. Now android phone pattern lock is a common issue. But do you know basically why the pattern lock? If you more than 6 times draw the wrong pattern then your android phone will be pattern lock. While your Android device pattern locks, you don’t need to go to any service centre to unlock pattern lock. Because you can unlock your phone at home yourself. Pattern lock unlock is a very easy way. Our devicereset.com site provides you with all kind of device pattern lock, password reset, factory reset solution. But this post I provide you with all Samsung pattern lock unlock solution in one tool. This tool name is “SamPattern Lock Unlocker”. 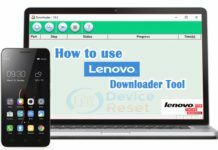 Using this tool you can unlock your Samsung Android device without any data loss. For your kind information, many latest Samsung smartphone after pattern lock unlock it make a new lock and its name is “FRP Lock/Google Account Lock”. Don’t worry we have also a solution for you to unlock FRP Lock. 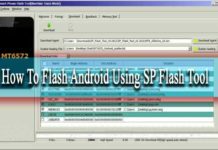 See our post How To Bypass Any Android Phone, FRP Lock. Ok, let’s see how to pattern lock unlock all Samsung android phone using a small tool. 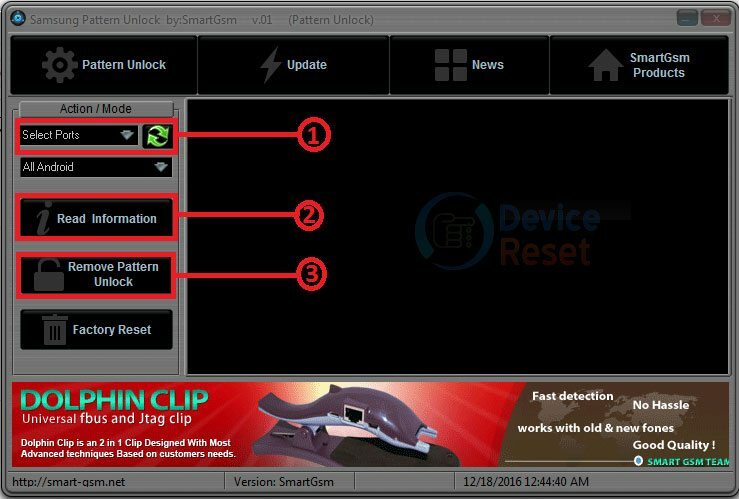 Step 1: First Download SamPattern Lock Unlocker Tool from below link. Step 2: Connect your Samsung android phone to your PC via USB cable. Step 3: Now Select Port and then click read information. Step 4: Click Pattern Lock Unlock and wait for few seconds. Step 5: Now your android phone rebooted and your pattern lock unlocked without data loss.